Ouray Chalet Inn - Discover the Adventure. Whether you simply wish to rejuvenate yourself by relaxing and basking in nature’s glory or prefer to tackle one of the adventures this nature’s playground has to offer, how active you are is based solely on your state of mind and your imagination. where Mother Nature calls the shots—and where the mountains take center stage. Here in the Switzerland of America, visitors can see snow in July or balmy 60-degree temps in January. 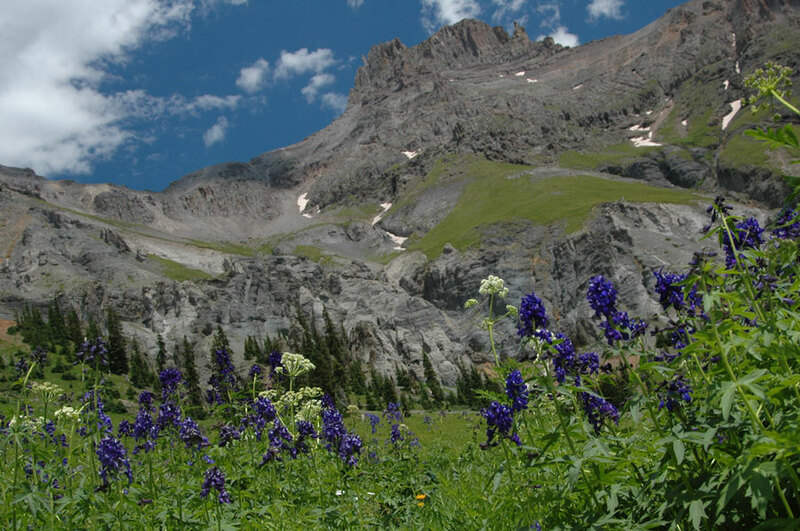 The spring flowers in the high country are a treasure, the green meadows with pine trees seem to touch the sky in summer, the aspens glow in the fall, and sheets of ice coat the mountainsides in the winter. It’s always an adventure! Ouray has over 500 miles of 4-wheeling fun (Jeep or ATV), from easy to class 5 adventures. 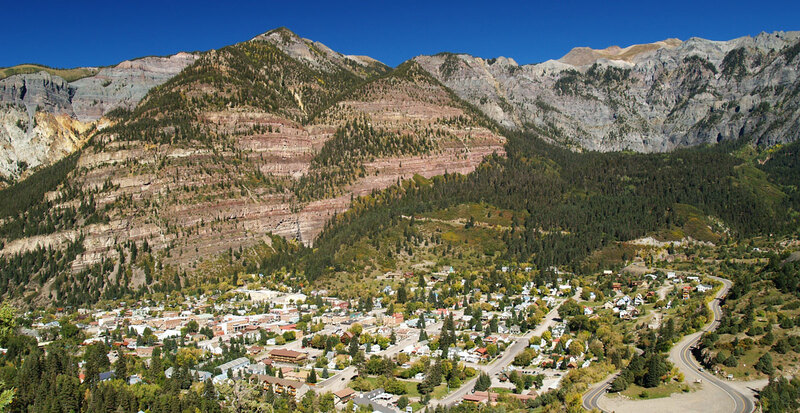 Experience Ouray’s history or hike through the high country and feel like you are on top of the world. And at the end of the day, you can soak under the stars in the Chalet’s hot tub or head to the naturally heated water of the Hot Springs Pool. Want to see a truly colorful Colorado? Come vacation during the early fall and spring seasons. This is the best time for the warm colors of the autumn foliage and the pastels of the new spring flowers. 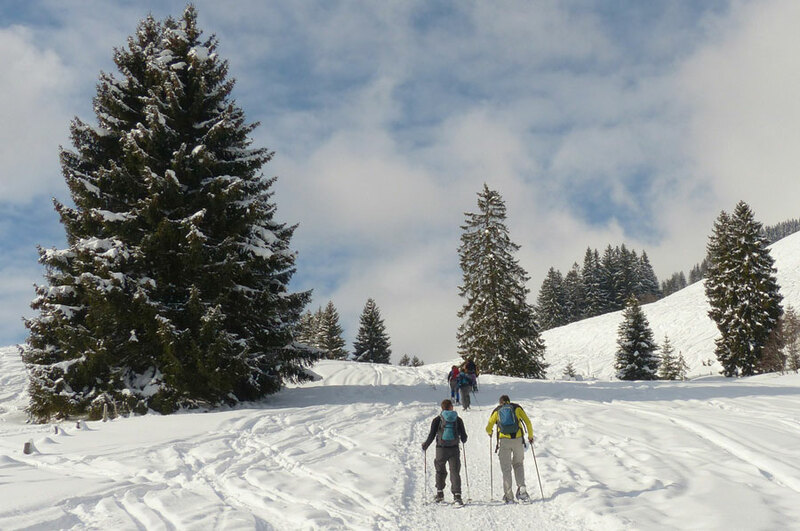 With the snow comes fabulous cross-country skiing, snowshoeing rugged landscapes, and world class ice climbing right here in town. Our small mountain town houses the famous natural hot springs and ice climbing park, the Ouray Ice Park. Explore during the fall months, which showcase the surrounding mountain forests exploding with autumn colors. 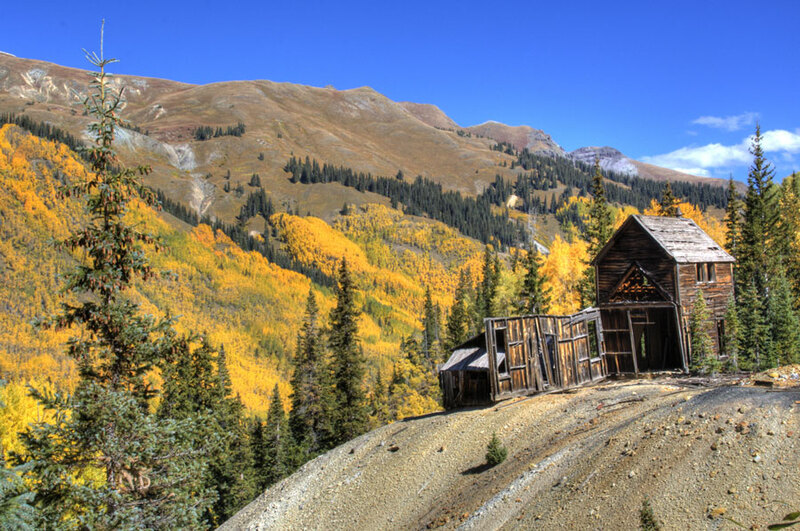 Drive down the Dallas Divide or Million Dollar Highway to enjoy the colorful aspens, or explore the haunted buildings of nearby ghost towns. Ouray offers a variety of fun and exciting summer activities such as jeeping, hiking, rock climbing, horseback riding, and fishing. This mountain town has many opportunities for new adventures. Enjoy the many trails, restaurants, and other activities Ouray has to offer. There is so much to see and do during your vacation, so plan on visiting for several days. And remember, after your day’s adventure, the Ouray Chalet Inn will be waiting—a welcomed respite where you can relax on the shaded patio or in the outdoor hot tub, take in the gorgeous scenery, reflect on the day’s adventure, and plan tomorrow’s activities. All guest rooms are non-smoking, spacious, and clean for the comfort of our guests. We offer a variety of rooms with queen or king sized beds that are notoriously comfy! Enjoy the Grab & Go breakfast: a breakfast available right there in your room! Two oatmeal cups, two breakfast bars, and two bottles of OJ are provided each day before you set out. Guests love to park their car, then walk down our streets and trails to the local restaurants, museums, and outdoor fun. Most of our rooms have incredible views of the surrounding mountains. Park your car and don’t worry about it again for the rest of day while you walk and enjoy the beauty of Downtown Ouray. Whether it’s recommendation for a great restaurant or just extra towels, we pride ourselves in helping every guest feel comfortable and experience an amazing visit. Our amenities include free WIFI, in-room refrigerator and microwave, satellite TV, and streaming devices to watch your favorite shows. Relax or bring your laptop out to the patio to catch up on work while enjoying the surrounding nature. Then soak in our private hot tub! We look forward to greeting each visitor staying at The Chalet. Whether you’re an old friend or a first-time visitor, we’ll do all we can to make you feel at home. We are proud of our property—it is an extension of our home. "Ouray Chalet Inn…Where Happiness is One More Day in Ouray"
Your best choice for comfortable and affordable hotel lodging.